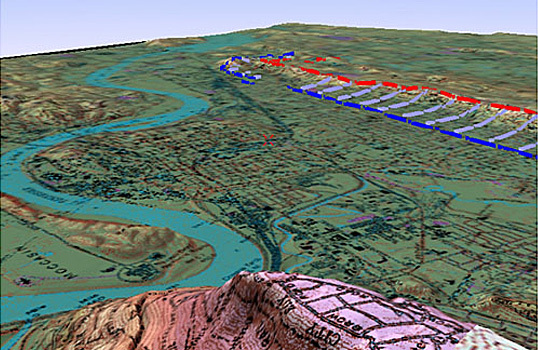 Bill Drummond has pioneered the use of Geographic Information Systems (GIS) to produce three-dimensional renderings of Civil War battlefields. 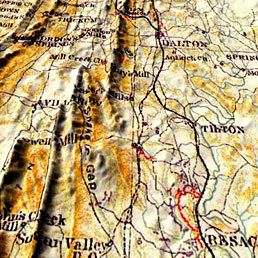 The process involves the use of historical or contemporary maps combined with digital elevation models to produce detailed renderings of the battlefield including vertical relief. 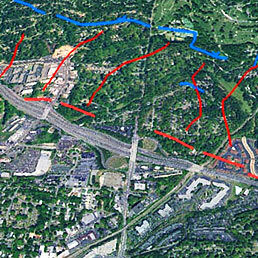 Bill has developed GIS datasets for battlefields in Virginia (Chancellorsville and Fredericksburg), Tennessee (Missionary Ridge), South Carolina (Charleston), and Georgia (Chickamauga, Resaca, Kennesaw Mountain, Chattahoochee River Line, Peachtree Creek, Atlanta [Bald Hill], Ezra Church, Utoy Creek, and the Siege of Atlanta).